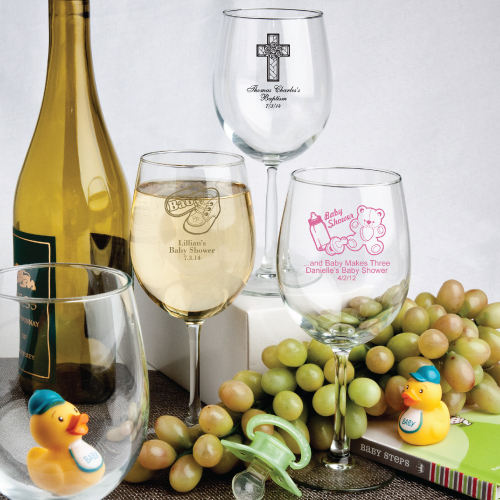 This wine glass favor for Communion celebrations will bring back the memories of your event each time your guests use it. They make nice table decorations, and don't need to be packaged. Some customers have filled them up with candy for a colorful presentation. You can create your own custom design with a personalized message to your guests on each wine glass favor. The perfect accompaniment to any celebration, each 12 ounce Alto wine glass is 7.50" tall and 3" in diameter glass with the classic stemware shape It is made in the USA of quality domestic glass and packaged in bulk.